This week I’ll be in Jekyll Island at the Turnaround Management Southeastern Conference, where I’ll be on a panel called Titans of the Turnaround. I chuckle about being called a Titan, as I was for an article written about my book, “How Not to Hire a Guy Like Me: Lessons Learned from CEOs’ Mistakes.” I never played football for Tennessee. But it has me thinking about the skills that I have found to be the most useful in my career in the turnaround business. These include the ability to communicate, negotiate and delegate. When I am hired as interim CEO or consultant at a company in trouble, I stress the need to senior management to communicate openly and honestly about the situation. I often have to work hard to open up lines of communications with employees at all levels, as they may have become accustomed to being kept in the dark. Some employees work night shifts and may feel particularly left out of what’s going on. At one company, I hosted a midnight barbecue and chatted with the employees as I grilled hamburgers. In addition to enjoying my superb cooking skills, they left feeling listened to and informed. As a “Titan” I also have to communicate effectively with everyone involved with the company, including lenders, vendors and customers. I’ve written about my need to negotiate as the Turnaround Authority, which has earned me the nickname the Monty Hall of business. Every day is a game of “Let’s Make a Deal” for me. You cannot be successful in the turnaround field without the ability to negotiate effectively with all interested parties. In the negotiation process, I employ communication skills while always searching for creative solutions. Because I have not been involved in the company as it began to suffer financial difficulties, I can clearly see the situation, while the CEO has often become too emotional to determine and handle what needs to be done. I worked with one company that had lost control of its brand and entered into licensing agreements with substandard manufacturers. It was embroiled in trademark issues and meanwhile had accumulated large debts. I was able to renegotiate licensing agreements and default substantial licenses, getting the company back on track and focusing on its fantastic design department. I’ve seen it more times than I can remember in companies in crisis. A CEO who should be focusing his time and talent on getting his company back to financial health is instead working on tasks that could easily be handled by someone else. Usually it’s because he has not learned to properly delegate and let go of tasks that are not the best use of his time. This inability to delegate is often one of the reasons the company has ended up in trouble in the first place. The CEO did not know how to let go of tasks or was micromanaging those that he had delegated. All CEOs and business owners have to learn the art of delegation. That involves giving clear instruction on what needs to be done and when the deadline is. Another key is making sure you delegate the task to the right person. The CEO needs to see himself as the catalyst to get the job done. He also needs to have the skills to communicate, negotiate and delegate. Nobody really likes to share bad news. And when that news pertains to problems with your business, you may think the last person you should share that with is your lender. Maybe you are thinking you can turn things around before your lender has to find out. You wouldn’t want them to worry, would you? Wrong. When your business encounters difficulties, you need to be in touch with your lender even more often. Lenders hate surprises. The key to maintaining a good relationship with your lender is to keep him informed every step of the way when you are handling a financial crisis. You can never give your lender too much information. Open communication is the best way for your lender to be an advocate for your business and help you through the situation. Remember, your banker wants you to succeed and will do what he can to help you. But he can only do that if you keep him informed. I worked with a company I’ll call Giant Manufacturing, which had been a booming business for decades prior to 2007. But some unprofitable long-term contracts, coupled with the broader economic decline in the United States, resulted in severe declines in cash flow. The company did not inform the bank until it was in dire straits. As you can imagine, the bank was not happy. Because it was so surprised and caught off guard by the situation, it cut back on availability of funds for Giant Manufacturing, which gave the company even less money to operate. Had the CEO been proactive and called the bank immediately and continued to keep them informed, he could have potentially kept the bank on his team as he worked to get the company back to profitability. But because he kept them in the dark, they no longer trusted his ability and shut down access to much-needed operating capital. After I took over, one of my main challenges was to obtain funding. Most sources had already declined to fund the company. But after 16 months, we were able to turn around Giant Manufacturing to having a positive cash flow position and a new lender was more receptive because of the speed of the turnaround. He could trust that the company was operating in a fiscally responsible way. But an important part of obtaining that credit was educating the new bank. Yes, we shared our successes with the turnaround, but also the challenges we faced and the ones that had led to severe decline in revenues. Giant Manufacturing learned its lesson and maintains a healthy relationship with its bank. And like any healthy relationship, it depends on ongoing and honest communication. Mark Twain said, “A banker is a fellow who lends you his umbrella when the sun is shining, but wants it back the minute it begins to rain.” With respect to Mr. Twain, I’d alter that quote just a bit. The banker is quite happy for you to hang onto that umbrella, just as long as you keep him informed of any storms you are encountering and allow him to work as a team member to help your business weather them. Assumptions, Assumptions – Who Has My Assumptions? If you look at the history of big obstacles in understanding our world, there’s usually an intuitive assumption underlying them that’s wrong. You may have learned in your college economics class that controlling for all factors is necessary when trying to understand a task or a problem, but the real world rarely allows us to do that. Thus, we must make assumptions. What are assumptions? In mathematics, an assumption is something taken for granted, based on which theories are formed. In the business world, we don’t and shouldn’t have such a firm view of our assumptions. Things rarely, if ever, work as we assume they will. Indeed, in business, assumptions are not facts; they are closer to educated guesses – and, since we’re preparing for them, hopes. From the moment you wake up, you begin making assumptions. Some assumptions, when they are wrong, will not hurt you as much as others. Assuming you can arrive at the office in 30 minutes in rush hour traffic may make you late for a meeting, while overestimating the demand for a new product even slightly may require you to adjust revenue forecasts significantly. The ability to make well-reasoned assumptions in the business world can make you very successful – if they’re right. So, the question becomes, what do we do with assumptions? The answer: contingency plans. If assumptions prove wrong, we need contingency plans (and we often still need those contingencies when assumptions are right, too). Contingency plans may be the ability to run a factory 24 hours for a week, a cash reserve, property that’s ready to sell or any number of things, but knowing your options and keeping lines of communication open with others who affect these plans is all part of being a good leader. Wherever there are assumptions there must be contingency plans. How do you make assumptions? Do you often go with your gut or do you strive to gather every piece of information you can before making an assumption? Life is full of surprises, and as a business leader, you can’t let those surprises turn your business upside down. If you learn to manage them as part of your business, expecting that they will be there and creating contingencies for them like emergency cash, a fully stocked resume and interview line should you need some fast hires, good networking, a solid relationship with your banker and so on, then you will likely survive when they surprise. In 2003/4, I did a turnaround for Life University, the award-winning chiropractic institution in Atlanta, GA. Life had a lot of lessons about the power of surprises. After achieving an all-time high enrollment rate and setting the standard of excellence in contemporary health for its chiropractic undergraduate and masters degree programs, Life University was challenged with a loss of accreditation and defaulted on $35 million in secured bond debt. Upon becoming the Director of Refinancing and CFO, we redid the budget based on declining attendance and negotiated a forbearance agreement with the Trustee and Bondholders. We also sold assets and refinanced others while the board searched for a new president. Within 18 months Life University’s cash flow was stabilized, accreditation was granted and the bond debt was refinanced. As part of the long-term plan, the school retained a President and Chief Financial Officer from a competing school. Victory was ours, and we won the Non-profit Turnaround of the Year Award in 2004 from the Atlanta Chapter of the Turnaround Management Association (TMA). What I Learned from Life? Professionals need to hire consultants and advisors who have different skill sets than their own. When professionals go outside their sweet spots they often make mistakes or don’t consider all the issues. Business is not the forte of all professionals – and it doesn’t have to be. Bring in business people to do business. There are always surprises and things you didn’t account for. At Life, the CFO had a heart attack and bypass surgery, and without him we couldn’t find all of the documentation or understand the cash flow budget. This created issues with the bondholders because a key member of the management team had been changed. Then, six months in, the president was gone, too. A new president and a new CFO do not breed confidence to lenders. Be prepared for unfortunate events: heart attacks, death, personal tragedy, community strife. These things are part of life, and as a business leader, you have to have contingency plans in place to know how you would operate should the unthinkable occur. Ultimately, in this case – and many others – communication solved these problems. Through extensive meetings, we got support in a forbearance agreement, which gave us time to hire a new president and to show results from fund-raising efforts. The spirit of the chiropractic staff was great. They were committed to their university and seeing it survive. Anything I needed from them I got. Being part of a team that believes in the cause is a great thing, and in a crisis it’s very important to return to core values and purpose and to be able to lean on them. This was a wonderful, award-winning turnaround. In turnaround management – as in business – there are always surprises. It’s your job not to let those surprises undermine your goals, but to deal with them as part of a business day. 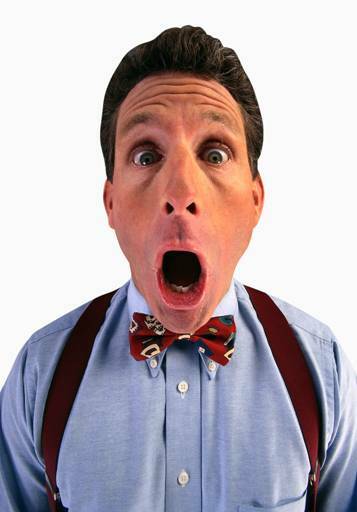 What surprises have you encountered in business? How did you deal with them?